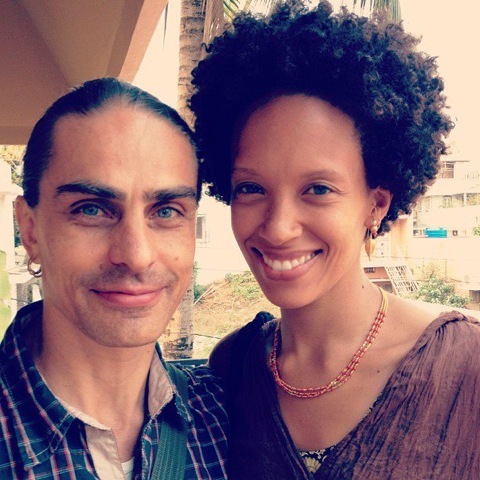 In April 2020, Petri and Wambui return to Nepal for an extraordinary 10-day Ashtanga retreat. Please note that their retreats in 2018 and 2019 each sold out more than six months ahead, so we encourage you to sign up early to be sure of a place. 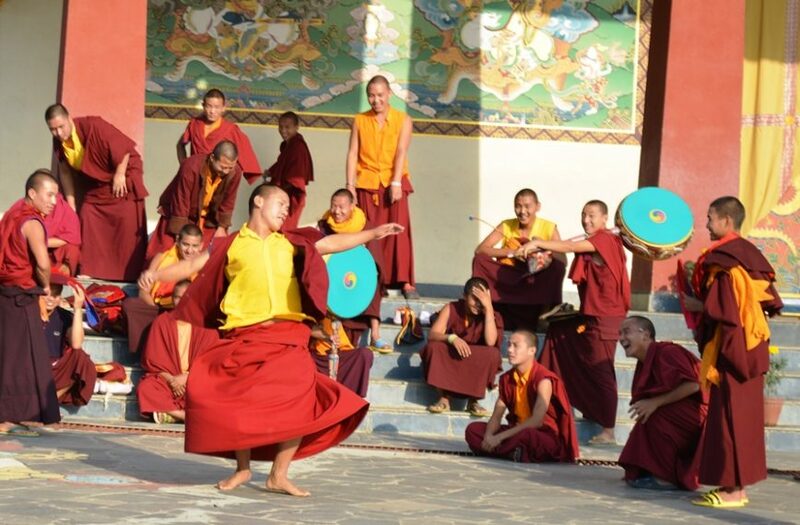 Join them in a spectacular and welcoming Buddhist monastery in the foothills of the Himalayas. The retreat is an incomparable and inspiring opportunity to deepen your relationship to the practice and yourself. 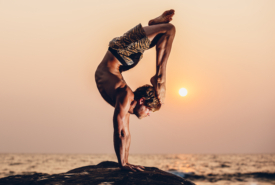 The 10-day retreat combines the powerful practice of Ashtanga Yoga with a unique setting. 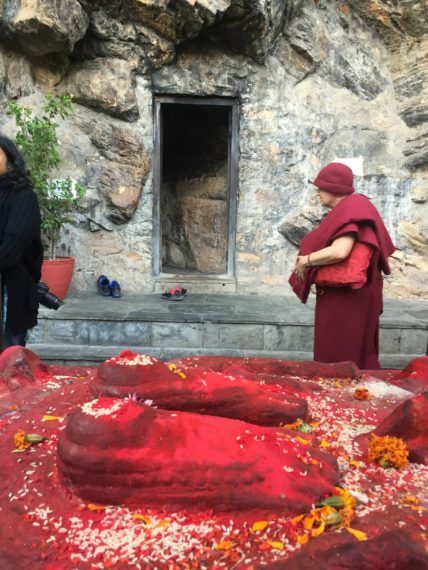 This is complemented with technique discussions, pranayama, healing techniques, chanting, meditation with the monks, Dharma philosophy, visits/hikes to pilgrimage points nearby, and time for quiet contemplation and joyful connection with like-minded others. The retreat is an opportunity to adjust your pace and perspective, to slow down, and to experience life more fully through mindfulness. 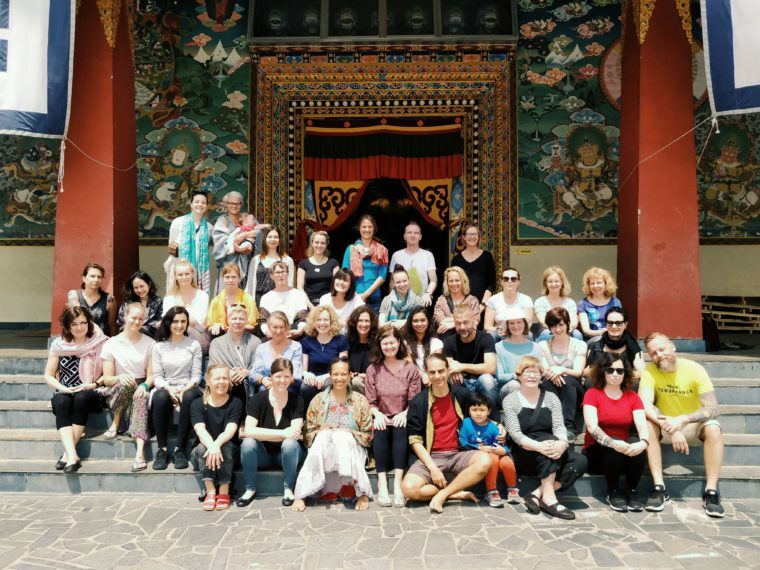 Feel supported in your practice by dedicated teachers, by the sacredness of the place and by teachings in the complementary philosophies of Yoga and Buddhist Dharma. 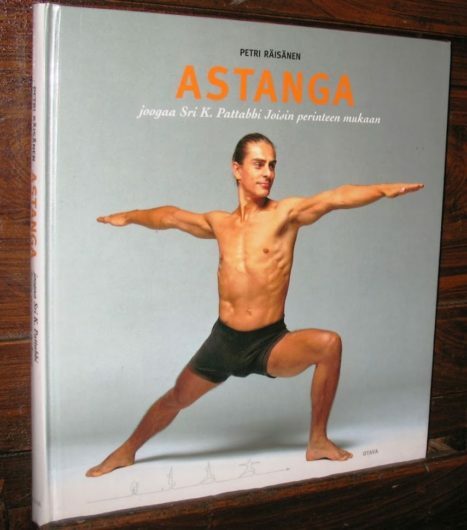 The retreat is aimed at those with an existing Ashtanga Vinyasa practice (newer practitioners are welcome, but the retreat isn’t suitable for absolute beginners). Each day will begin with optional meditation with the monks, under the calming and inspiring gaze of the temple’s 60-foot Buddha. Mysore-style self practice will bring us together each morning, followed by a varied schedule each day to share ideas, philosophies, techniques and places that add texture and depth to your practice and personal journey. We will also protect time for your own space to restore, connect and simply be. Wambui Njuguna-Räisänen discovered the therapeutic benefits of Hatha Yoga in 1995, and has continued to practice ever since, in complement to the various forms of dance and martial arts she has been involved in, such as capoeira, samba and Afro-Brazilian dance. 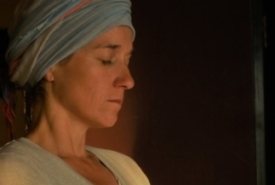 She was introduced to Ashtanga Yoga in 2008 and credits her first teachers, Jeff and Harmony Lichty (Ashtanga Yoga Victoria) for starting her off on the spiritual path. The fee for the 10-day course is 165,500 Nepali Rupees. For an indication on what the rate is in your currency, see www.xe.com. At the time of writing, this equates to approx USD $1,450 or GBP £1,140. 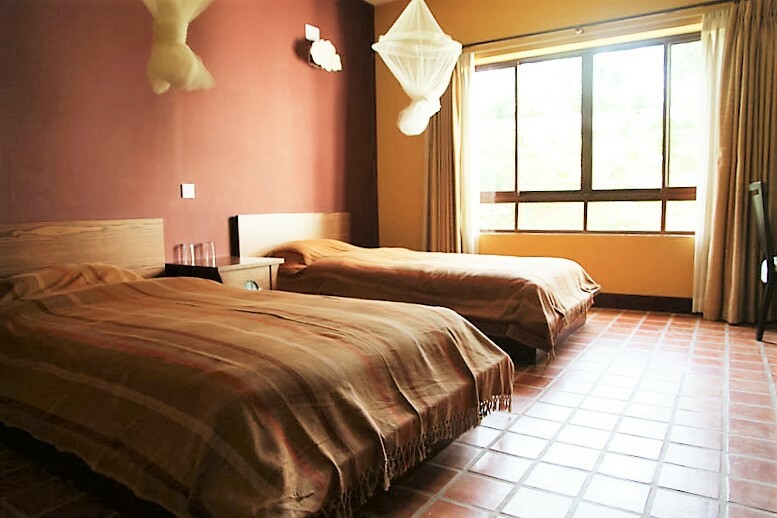 Payment details will be sent to you on confirmation of your place. 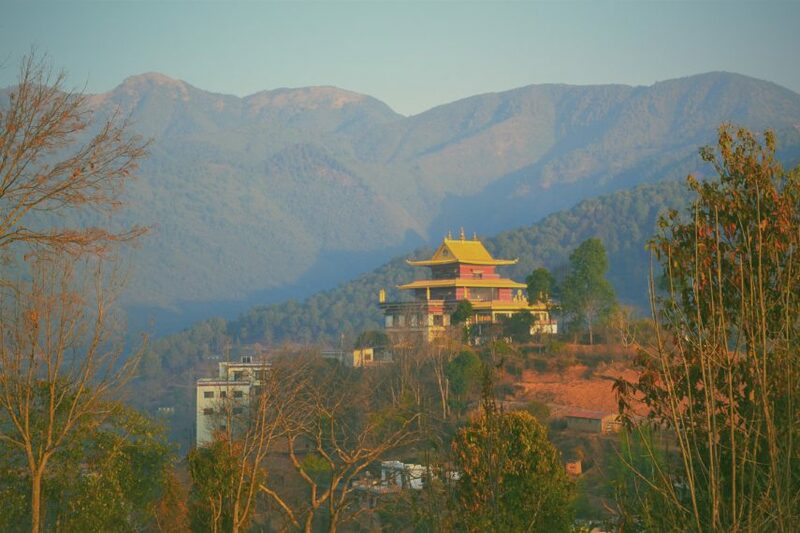 The fee includes: return transfer from central Kathmandu to the monastery in a comfortable private bus, twin-share accommodation for 9 nights, all your delicious vegetarian meals, teaching from Petri and Wambui, trips during the retreat. Simply complete the Registration Form and we’ll help you from there. On securing your place with a deposit, we will also send you the retreat welcome pack, full of information to help you plan your visit.